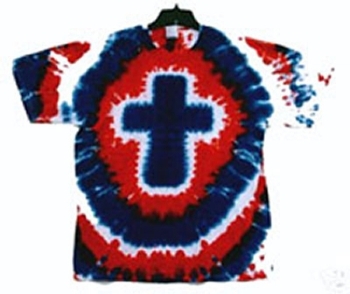 Show your patriotism and religious beliefs on one shirt! All items are washed and dried after dying to help set and remove any excess dye. We recommend cold water washing. It is also important to remove items from washer immediately after washing cycle is completed. 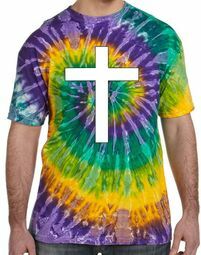 There are only two things you should keep in mind with a brand new tie-dye screen print. Do not allow new tie-dye to soak for extended periods of time. Brand new tie-dye should be immediately removed from washer as soon as the washing cycle is complete. If you have allowed the item to soak for a prolonged period of time and notice some running, wash again immediately and then dry immediately. 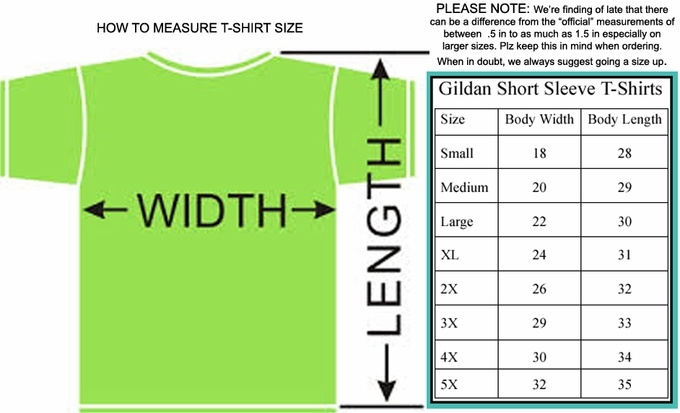 Please note: some of our shirts are absolutely loaded with color. They shouldn't run or bleed; removing them immediately from the washer is your best insurance against any unintended accident. The second thing to watch for: ever wash a brand new pair of jeans and have some bluing occur to a white T-shirt? That can - usually doesn't, but can - happen with a brand new tie-dye. It's always better to wash colors with colors. And we always recommend washing in cold water. Other than that, toss 'em in the washer, wash 'em like your other colors and wear 'em in good health.